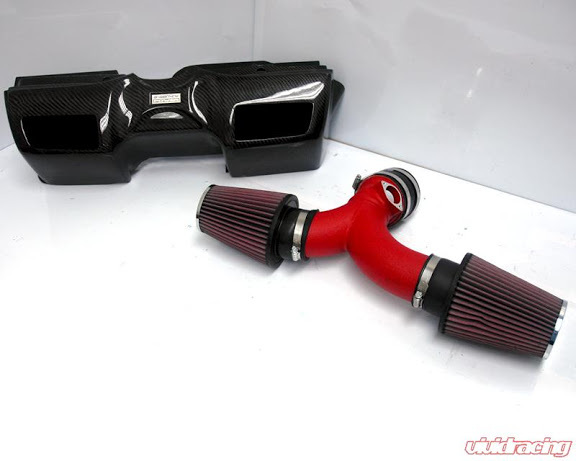 Hi, just a quick question, does anyone know what this Fabspeed Aiflter performance kit is like? Is it worth fitting? Also with an IPD Plenum and this aifiter kit make a difference? Since the old thread posted by Pzero Phil did some more digging and found out that the air around the induction kit is actually just as cold as the air going into the standard airbox as the Fabspeed baffle works to keep the hot air out. I am not sure that you will see much gain but you will get better induction noise, but you will also need a map if you fit one as the as its outside the normal peramiters of he origional map. This is on my mod list and has been for quite some time as a second hand one is hard to find and new they are over 1k which is steep for and induction kit but I will hit the button at some point and fit one. The 82mm plenum and tb is a worth while mod in my view it just makes the car feel less restricted and held back. You might want to look at the Spyder performance plenum as you can get one on ebay at a lot less than an ipd one and looks very similar. Likewise you can get a tb for just over £100 from eBay or various suppliers so all in if you get lucky on the auctions you could have a 82mm kit for just over £300 . Do it! As Finn says , my original thoughts were you cant get better than the OE box with a sports filter other than a carbon X51 box with sports filters . there has been much debate on here and other sites about these duel cone induction kits with many giving good technical reasons why it won't do much and others says they have done it and felt improvements. After buying my gen2 and finding the OE airbox has big mesh covered drainage holes in the base, I came to the conclusion that the gen2 air box cannot be true cold air like the gen1 airbox which is sealed . So I then resumed my interest in the duel cone option which had been tested and found due to the faster moving air the cold air in the engine was cooler than with the stock airbox and especially after a technical induction specialist had given me many reasons why the BMC sports filters were no better than the OE filter but had indicated that the cone style would give improvements albeit not huge, but combined with other well chosen mods it would overall give decent gains . 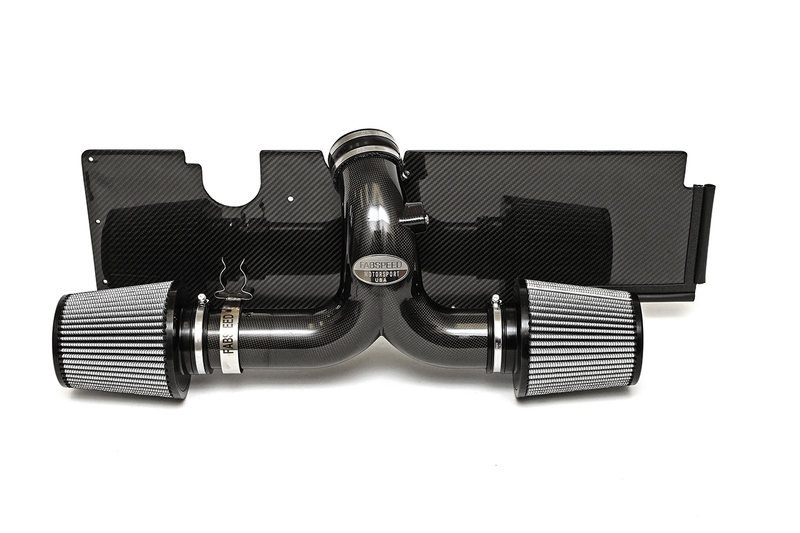 eg IPD or similar plenum , GT3 TB and 200 cell cats plus the necessary remap . So I fitted a Fabspeed, I already had a remap and IPD plenum TB , and 200 cell cats. the car ran well with a nice induction note and very free reving engine . I did decide the map needed a bit more of a tweak to get the very best out of the new Fabspeed induction and was about to book it in when the car went bang , not to do with the fabspeed but cheap nasty 200 cell cats. I have asked Hartech to rebuild the engine add cargraphic 200 cell cats to match the rest of the exhaust and then Chip wizards (who are supposedly the best of the best) to remap it . I will then be picking the car up , hopefully in a few weeks time. The gen2 already has twin air intakes and the feeder tubes sit right on the cones , I cannot comment on what would happen with an unmodified gen1 with only the single intake open and the other cone exposed to engine heat , So I suggest that anyone with a gen1 undertaking this, considers opening up the other intake vent and rigging up a second intake tube to feed cold air to the second cone. That's my plan I am going to cut a second hole and fit a gen2 ducts as they drop lower than the gen1 duct, so the cold air coming in will be closer to the cones and on both side. That's just as long as they fit when the lid is down but I will investigate when I get round to this mod. I managed to find a 4s deck lid in the right colour to use for the cutting so that I can keep the original just in case I ever go back to stock, i have done this will all my mods so I have a garage full of the cars original parts. I wasn't planning on doing this mod yet but all these thread in the last few days are making my fingers itch. I am not sure what power if any it adds , but the sound is intoxicating. maybe the same person wants a gen1 pop up spoiler in midnight blue thats hanging in the garage I am going to donate it to the possible 911uk charity stand at Simply Porsche if we get the green light from 911 towers. Thanks !! Thats put me right off!! Id rather get hold of a Gen 2 airbox and modify that to my car!! Has anyone fitted a Gen 2 airbox into a Gen 1, if so will it go it straight or any mods to the box is needed,?? 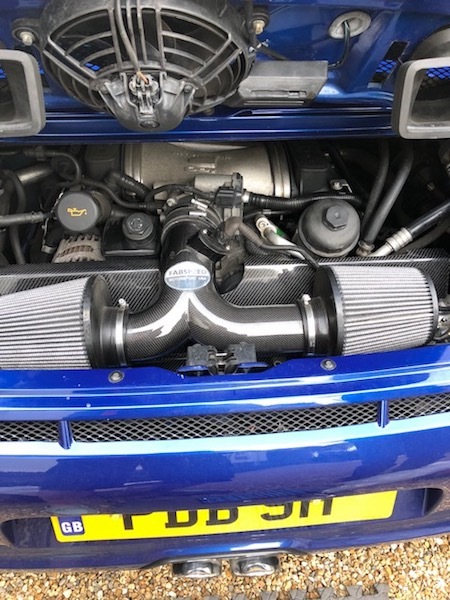 Dont think that will be far off as mine before the fabspeed and the new remap was running 400bhp on the rolling road and I am expecting a bit more after the few extra bit I have done. I haven't fitted a standard Gen2 box in my Gen1, but I did fit an Agency Power twin cone set-up that was designed for a Gen2, the box (which is an aluminium base/back with a carbon top) fits the same as the standard Gen1 box, but the tube to the throttle body is positioned differently and needed to be modified.